It's time for Mardi Gras! Today is Fat Tuesday, our last hurrah before Lent. The Carnival season is culminating tonight and we're celebrating appropriately. We're always excited to bring out the glamorous vintage and antique barware to help us celebrate in style. For your next cocktail party or get-together, consider mixing and matching vintage with antique for a boldly unique hosting style. We're combining a vintage set of oversized whisky tumblers with an antique cut glass decanter for a particularly eye-catching effect. The crystal and chrome tumblers have a sleek look that straddles Mid Century Modern and Art Deco. The set of eight tumblers come with a caddy, which makes it a breeze to serve cocktails for a crowd. And for those who don't like cocktails, a nip of Scotch from a cut crystal decanter (with an antique decanter label, of course) is an elegant sufficiency. If you're more of a traditionalist, consider the classic mint julep cup. The mint julep is a traditional cocktail with its roots firmly planted in the South. Antique American coin silver mint julep cups date back to the 19th century and should be accompanied by specialized long sterling silver straw-spoons for a truly unique and authentic experience. The set above is a modern take on the classic mint julep cup from the noted Kentucky firm Wakefield-Scearce. 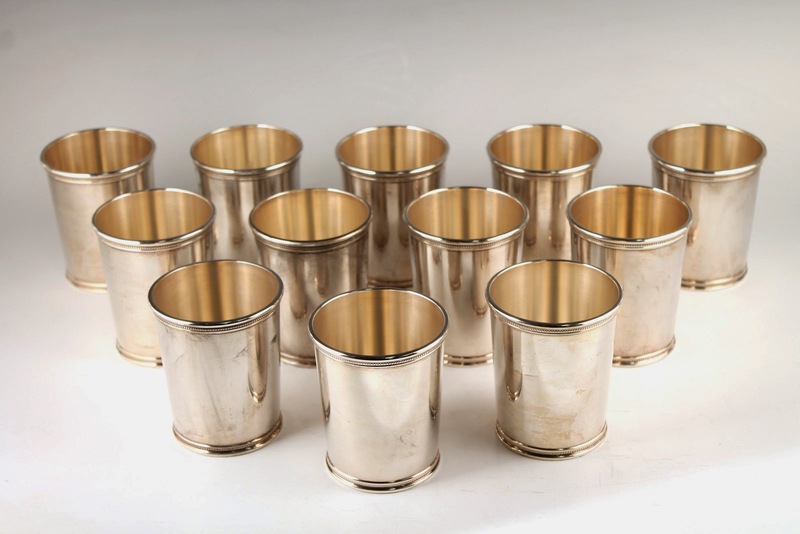 The set of twelve mint julep cups are beautiful examples of a traditional yet timeless design. Layering antique and vintage objects with modern pieces is a great way to bring a fresh and individual personality to your home. 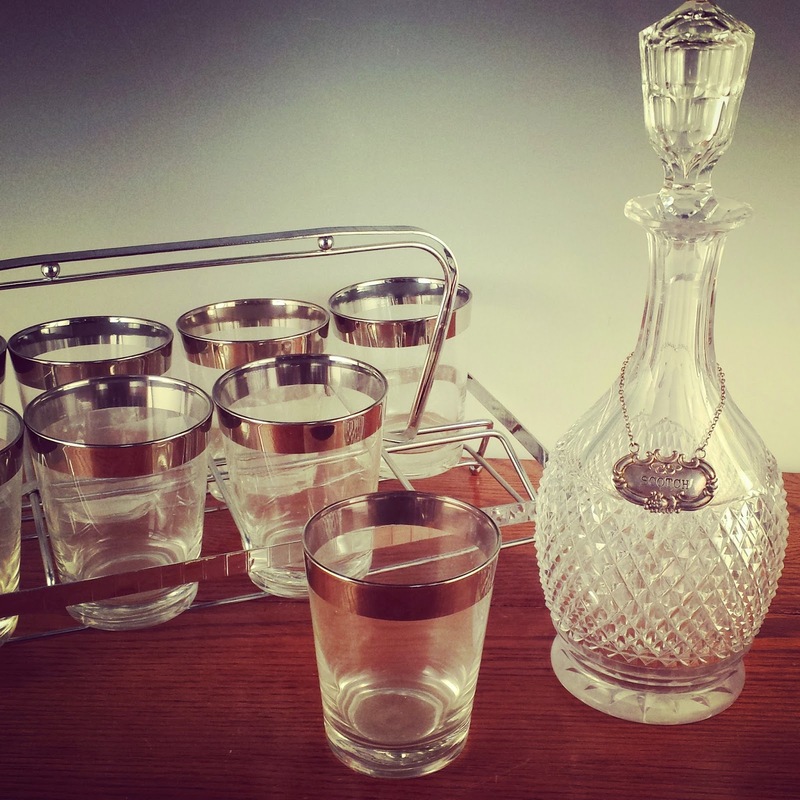 There are so many amazing options for antique and vintage barware, tumblers, glasses, goblets, shakers, and other cocktail accessories. Check out our store for more ideas to style your next cocktail party with fine vintage and antique barware.